So, what is it? Hard to tell. We'd be most excited to see the folding phone coming later this year. However, this seems to be an online-only event and we doubt Samsung will unveil its game-changing device with so little fanfare. Then there are the less exciting options. The Galaxy J6 Plus and J4 Plus (aka J6 Prime and J4 Prime in India) have been touring certification authorities. The Galaxy A7 (2017) has been as well. 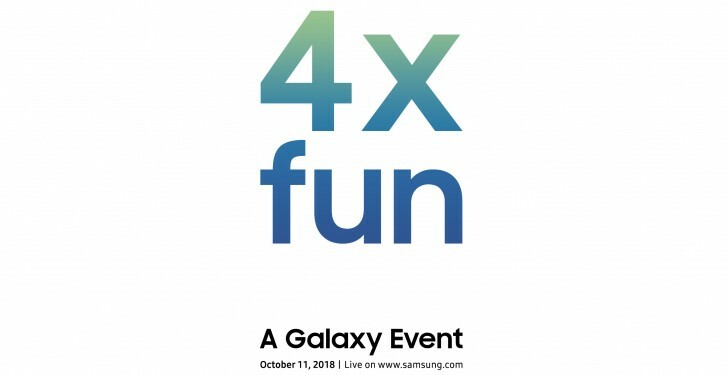 The X could be hinting at a new Xcover phone, it has been well over a year since the Galaxy Xcover 4. The Galaxy S9 Active may have been canceled behind the scenes, so it’s probably not that. Now, the invite says “device”, so it doesn't have to be a phone, it could be a new tablet. Like, say, the slightly less enormous but still huge Galaxy View 2. 4 x 4K = 8K. It will be the LAUNCH of 8K phone with 8K camera for new 8K Q900R TVs. Well you can. Awarded by many sites and people as a best wireless earphones of 2018.